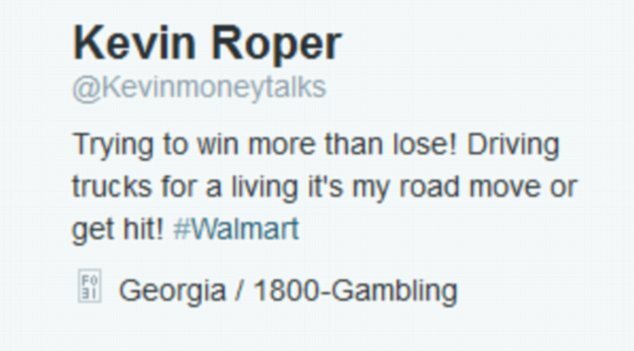 Kevin Roper reportedly tweeted: “Trying to win more than lose! Driving trucks for a living it’s my road move or get hit,” just before his truck collided with a limousine, causing one death and four injuries. The tweet has since been modified to read without the incriminating phrase “it’s my road move or get hit”, however it has not yet been confirmed whether the account actually belongs to Roper or not. Roper could not be reached to confirm the Twitter link, however Walmart, the company Roper was employed by for his truck-driving position, declared that he had nothing to do with social media and denied he had an account. However friend Jeremy Crawford, who claims to have known him for some three years, said the account @kevinmoneytalks did belong to the trucker. Roper has been charged with one death by auto and four assaults by auto. The comedian Tracy Morgan was inside the limousine the truck crashed into. He is now suffering with seven broken ribs, a broken nose and broken femur. His friend James McNair, a fellow comedian, died after the crash, with Morgan’s assistant Jeffrey Millea and Comedian Ardie Fugua in critical condition. Comic Harris Stanton was released from hospital after being treated, and two others were unhurt, including the driver. 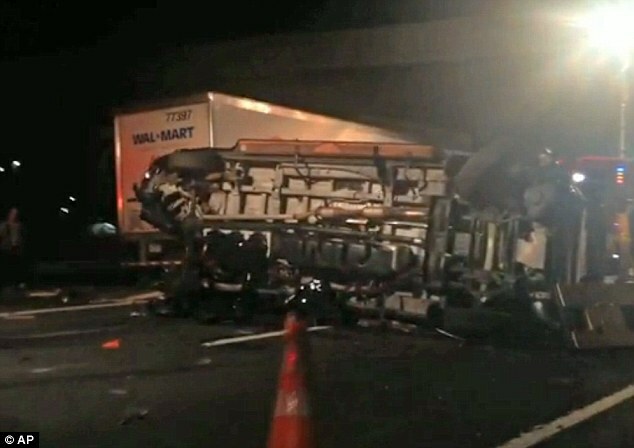 Walmart has stated they will do everything they can for the family of the victims and for the survivors of the crash, and will take full responsibility if their truck and its driver caused the accident. Allegations claim that Roper fell asleep whilst driving and did not see the traffic ahead slowing down. His 18-wheeler truck was then forced to swerve at the last minute to avoid hitting the limousine, however it hit the rear-end, causing a chain-reaction crash involving a second trailer-tractor, an SUV and 2 cars. The limo rotated clockwise and flipped over. Alcohol is said to have not been a trigger. Tyrone Gale, the limo driver at the time, described how he could hear Tracy screaming for help, but that when he climbed on the top of the limo he could not reach them. He also stated that when he did see the condition of everyone, he knew it would make it worse if he attempted to pull them up. Investigations continue to find out exactly what happened, and what sentences Roper will be facing. Family and friends hope to see an improvement in the conditions of those hurt, and for Roper prison-time seems likely. Road accidents happen daily. Anyone victimised by dangerous drivers should contact a solicitor for advice on the next steps to take.